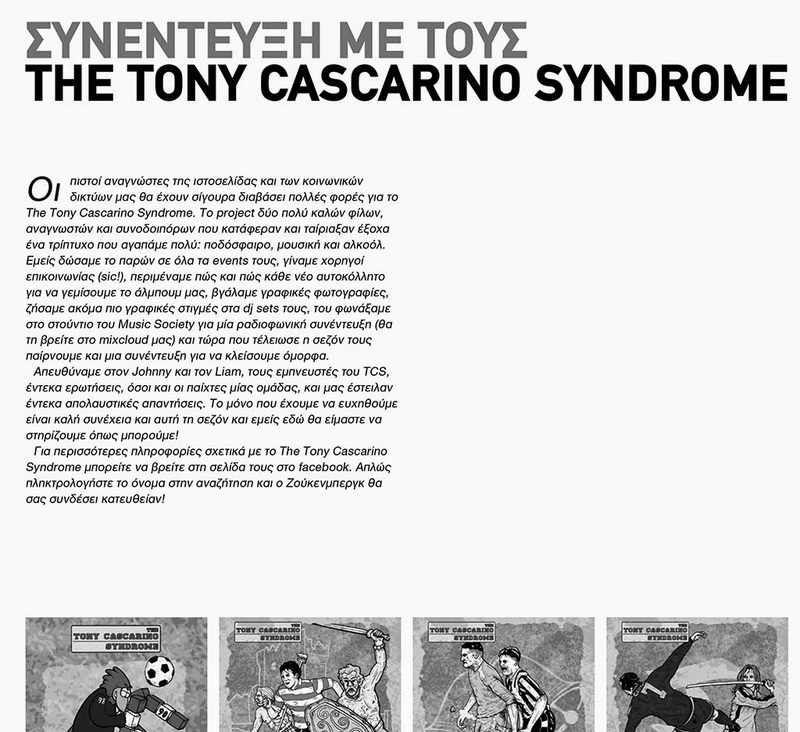 Johnny Negri: The Tony Cascarino Syndrome Interviewed by HUMBA! 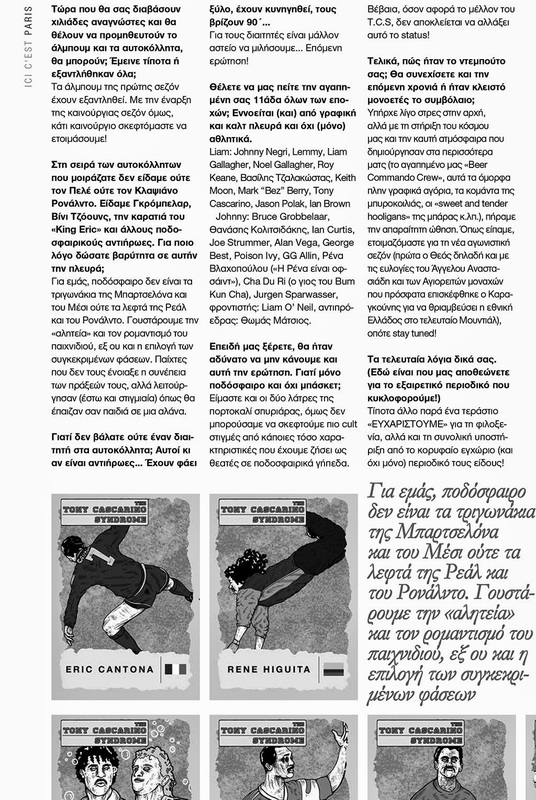 Our great friends from HUMBA!, one of our ever favourite magazines and unique of its kind, after a season of supporting The Tony Cascarino Syndrome events, decided also to interview us (issue no.17, Autumn 2014)! Both sides felt quite pleased by the result and although the whole conversation was about football and music (as the main characteristics that rule the project), the majority of the illustrations, posters and stickers were presented as well.